Losing Weight Knocks Down Knee Pain…But How? Home / Aging and Costs of Aging / Losing Weight Knocks Down Knee Pain…But How? If the US had the obesity rate it had in 2000 (not 2009), we might prevent 111,206 total knee replacements. If you have arthritis, you are twice as likely to be obese than if you don’t. About 50 million adults (22% of the US population) has arthritis—principally osteoarthritis, or wear and tear arthritis. Joint pain is the most common symptom. 2000 median obesity among adults with arthritis: 33.2% (range 25.1% in Colorado to 40.1% in Ohio). 2009 median obesity among adults with arthritis: 35.2% (range 26.9% in Colorado to 43.5% in Louisiana). 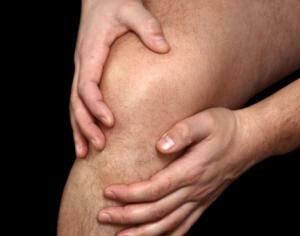 Why do arthritic knees hurt? Is it because the knee bears 4# of stress for every pound of body weight? Is it inflammatory cytokines and adipokines that degrade cartilage? Is it something else? I’ve long been interested in improving quality of life in arthritis. A RC trial of omega-3s helped arthritic and neck pain; extra virgin olive oil has ibuprofen-like activity. Medical costs are estimated at $147 billion for obesity and $128 billion for arthritis each year, but the real, human cost which cannot be quantified is much greater. 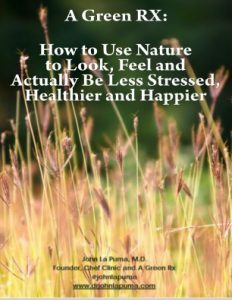 A systematic, careful, personal approach which looks at drugs and side effects, as well as diet and lifestyle, is what I recommend for my own patients. Can You Rev-up Your Metabolism? 5 Unique Health Advantages and 2 Recipes for Pumpkin!